Hello everyone and Happy Holidays! Just one more sleep! And with the Holidays here, Dharma thought who better to help us with a little Holiday Glam! Well, Anna, of course! Anna is the author of Bee Beauty, as well as a freelance makeup artist and blogger with a passion for cosmetology. She has a background in art and design, but her true love is all things makeup. 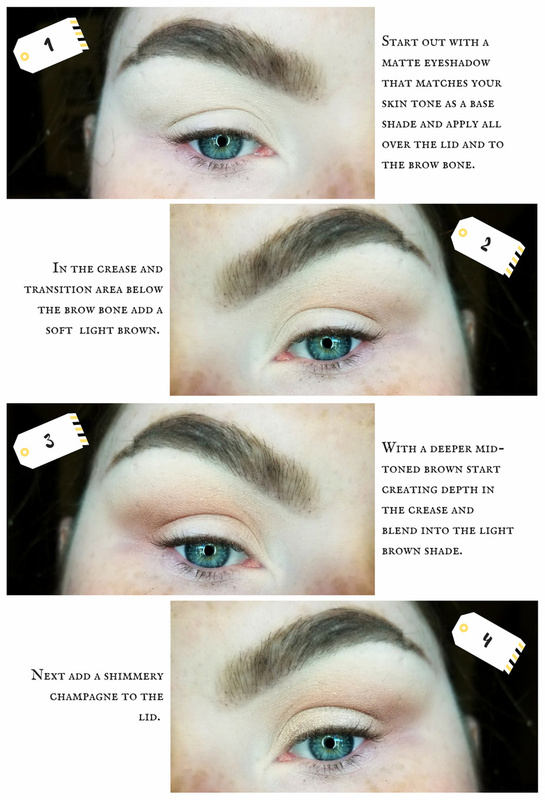 Anna’s blog is devoted primarily towards tutorials, product reviews, look books and new trends. Today she’s here to give us some great advice for fun looks for this new season upon us. Be sure to subscribe to Anna’s blog and Like her on Facebook by clicking here! Hey guys! Dear Dharma x Bee Beauty is at it again! I hope everyone is having an awesome Holiday season. I’m so glad that Dear Dharma asked me back to do a special Holiday post! 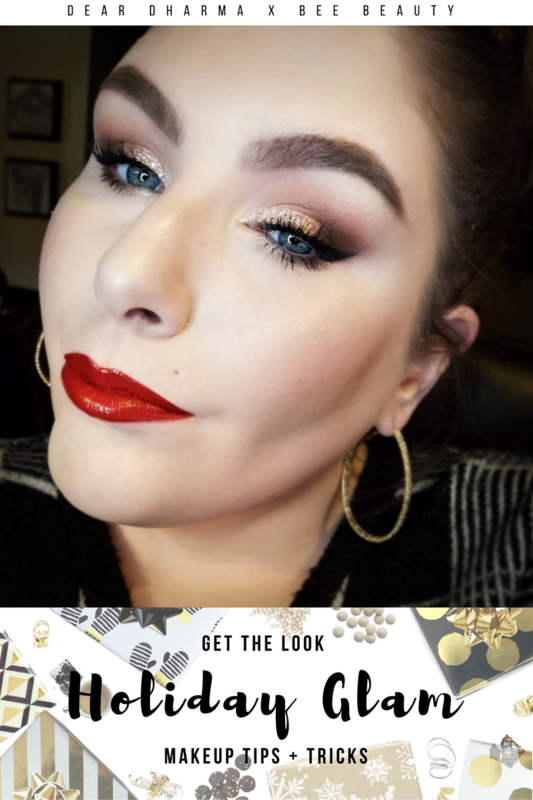 I thought it would be fun to do a post all about that classic Holiday Glam. 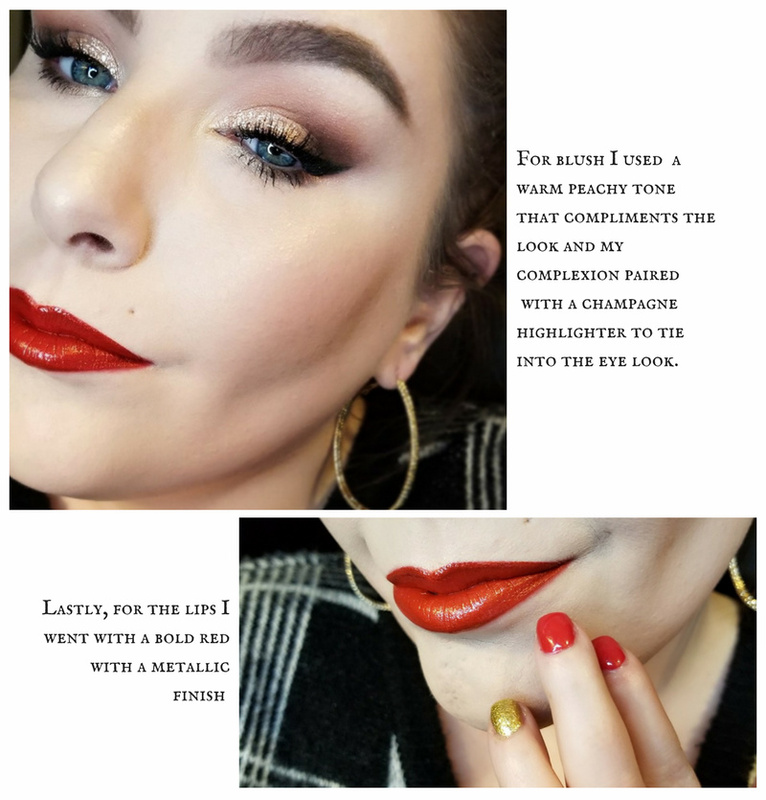 In this post, we will talk about all the color schemes, products and I will show you how I got my pinup inspired Holiday Glam Look in an easy step by step guide. 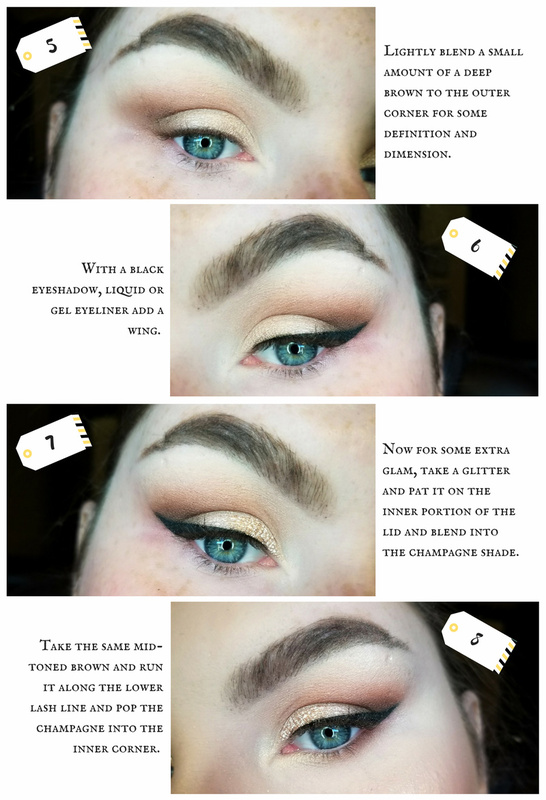 This look is great for any Holiday event and New Years. 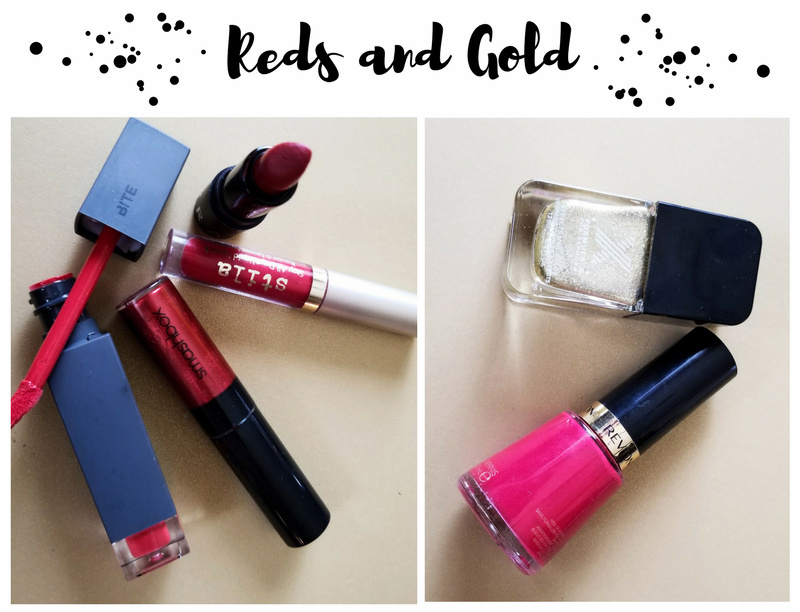 Starting with the classic combo, Red, and Gold. Paired with neutral tones and golden glitter like I did is an easy way to pull of a chic holiday look. You can tailor it to fit your style seamlessly by playing with finishes and formulas for your lips and nails. 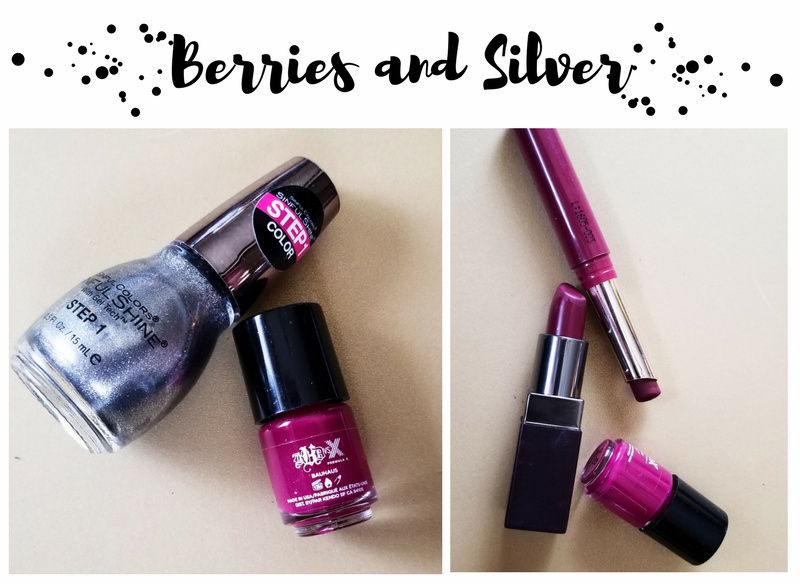 Alternatively, there is the Berry and Silver color scheme I have been really into this season. It’s perfect if red and gold aren’t your thing. No matter the colors you choose for your looks, I still like to think there are some staple elements to a Classic Holiday Glam. Keep in mind, all this can be altered to suit your style, this is just my general guide to Holiday Glam. 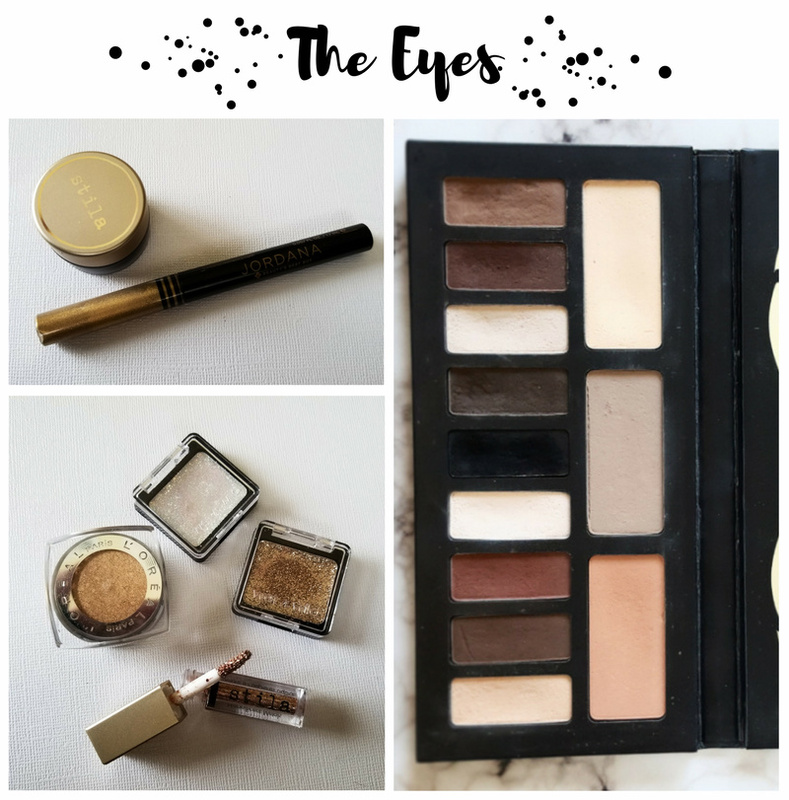 My first truly recommended product for anyone in the eye makeup department is a good neutral palette that offers a variety of undertones or one that you know works flawlessly for you. Eyeshadows like this are perfect building blocks for a multitude of looks. I personally love the Shade + Light Eye Contour Palette from Kat Von D Beauty. Odds are you probably have a go-to palette in your collection already with shades you know work for you. Next up is a liner to get that cat eye winged liner look that screams glam. You can use anything from a black eyeshadow and an angled liner brush to a gel or cream formula to a liquid to do a wing. 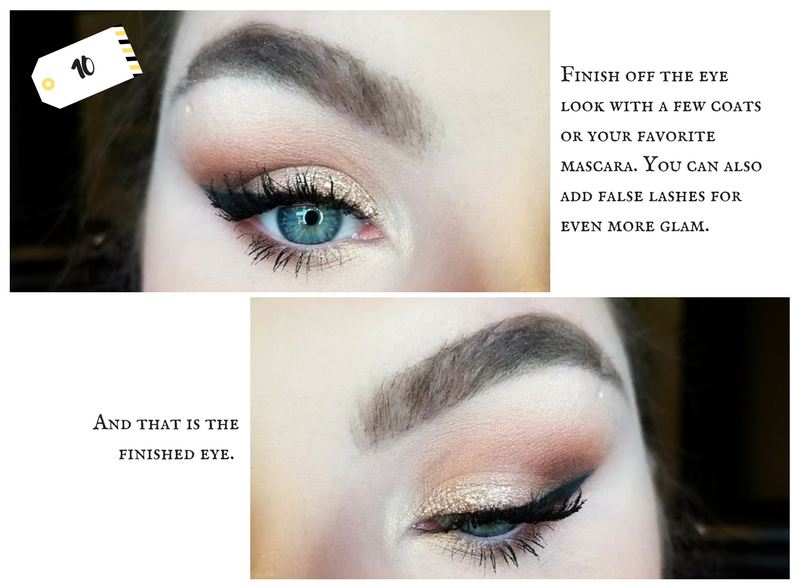 For a finishing touch to a look like this, a shimmer eyeshadow and/or a glitter will give a festive flair to the eye in whatever shade you want. So here is how I got my Holiday Glam look. And there you have it. 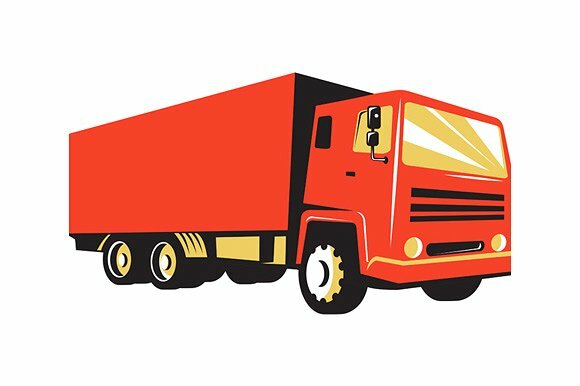 I hope this post helps give you some last minute inspiration! Also, I hope everyone has a fantastic Holiday no matter what your plans are. Over on Bee Beauty I have more Holiday Makeup Looks. Some a little more Avant-Garde and fun so be sure to check those out. Thanks again to Dear Dharma for having me back! Happy Holidays! Nice look. Very face-forward and festive. Merry Christmas! Thanks for the feedback – it IS a nice look, isn’t it…!